DALLAS, TX -- Two other large retailers have decided to pull Blue Bell Ice Cream from their shelves as a precautionary measure after the company announced it was temporarily closing an Oklahoma production plant. Sam's Club and Kroger have joined H-E-B in halting sales of Blue Bell products. The dairy company based in Brenham, Texas, last month issued a recall after ice cream contaminated with listeriosis was linked to three deaths at a Kansas hospital. The foodborne illness was tracked to a production line in Brenham and later to a second line in Broken Arrow, Oklahoma. 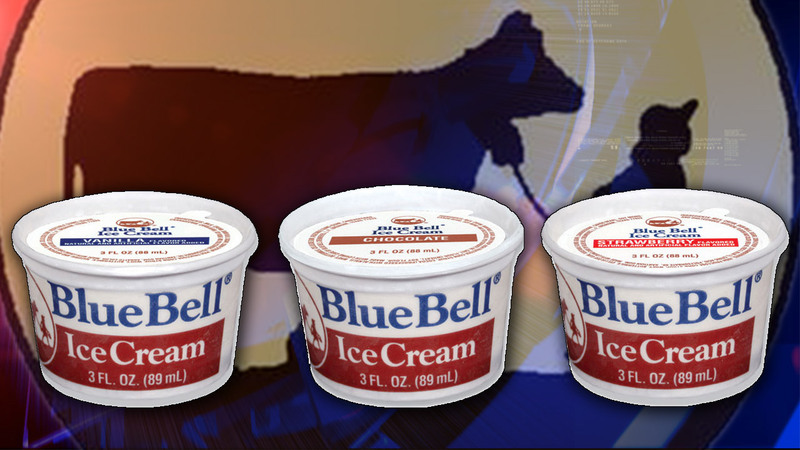 Blue Bell announced Friday that it had stopped all production at the Broken Arrow plant. Company spokesman Gene Grabowski confirmed Monday that the number of large retailers pulling the ice cream has grown.